Plumbers Rathfarnham, whenever and wherever you have need of an emergency plumber in Rathfarnham you can count on us to be there to help fast. Our staff operate 24 hours a day, 365 days a year. One of our team will be with you as quickly as possible and we guarantee that will be less than an hour. Where possible your local we will try to help minimize damage by advising you what steps you can take say with a leak. Your local team at Plumbers Rathfarnham provide the following services. • Heating installations and repairs. • We provide a 24 hour emergency plumbers Rathfarnham service. • Sink and toilet unblocking. • Pipe repairs & modifications. • Bathroom & kitchen installations. • Plumbing in washing machines and dishwashers. • Boiler repairs and installations. And more, if it’s not on the list you can still guarantee that our Rathfarnham plumbers will be able to do the job. We prefer to allow our domestic and commercial customers to concentrate on their own business while solve the problems and offer maintenance support.We always make a commitment to provide quality services that put safety and reliability first. 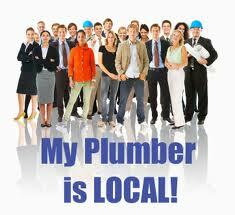 All of our team at Plumbers Rathfarnham are R.G.I. registered and carry full indemnity insurance. We do not charge for call outs, we are happy to offer free advice and give a free no obligation quote. Call 01-6874850 today to speak to one of our senior staff in Rathfarnham. When you need a Plumber in Dublin just pick up the phone and give us a call. We would be happy to help you.